I love the vows. This is the time for two people to speak intensely, personally, meaningfully to each other – out loud for all the world to hear. Usually the vows are prompted by the officiant, and the couple each repeats the words in turn. More and more often these days, the couple composes their own vows, and either reads them, or occasionally recites them from memory. I thought I’d seen it all until yesterday. I was playing music for Nadia and Vincent’s wedding at Queen’s Landing in Niagara-on-the-lake. 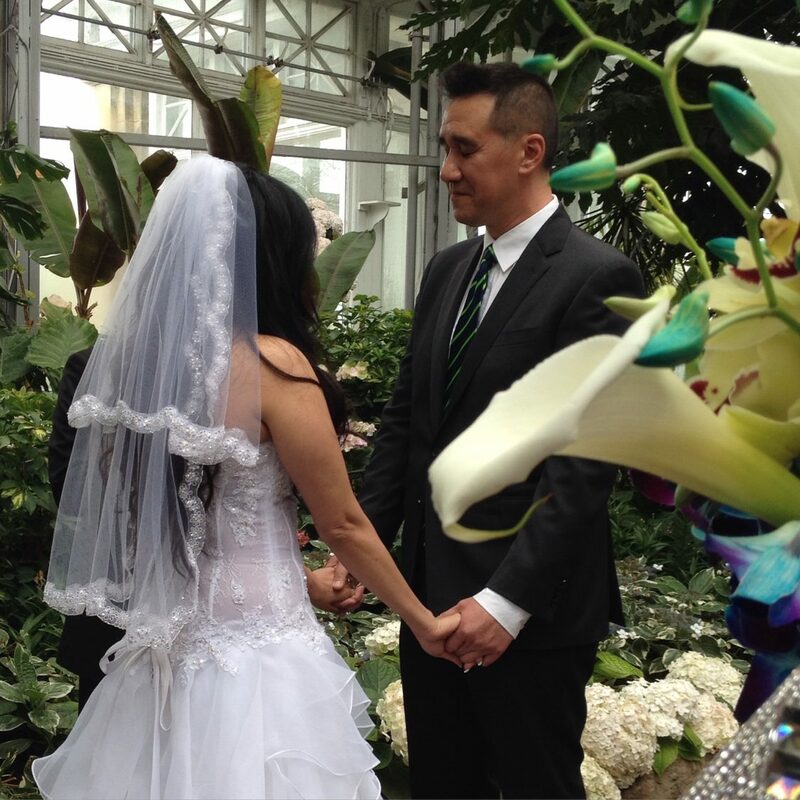 When it came time for the vows, Vincent read his. Then Nadia began by reading hers, but next thing I knew, she was just speaking to him. Extemporaneously. Expressing the deepest feelings in her heart, looking directly at him, in the moment, uncensored. One of the purest expressions of love I’ve ever seen.